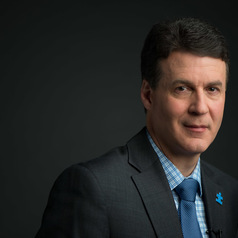 Stephen Wayne 'Steve' Scherer, PhD, DSc, FRSC, is a Canadian scientist whose research has transformed the understanding of human genetic variation and its role in disorders such as autism. He obtained his PhD at the University of Toronto under Professor Lap-chee Tsui, discoverer of the cystic fibrosis gene. Together they founded Canada's first human genome centre, the Centre for Applied Genomics (TCAG) at The Hospital for Sick Children. He continues to serve as Director of the multi-million dollar TCAG, and is also Director of the McLaughlin Centre, a $100M initiative in genomic medicine at the University of Toronto, Faculty of Medicine.